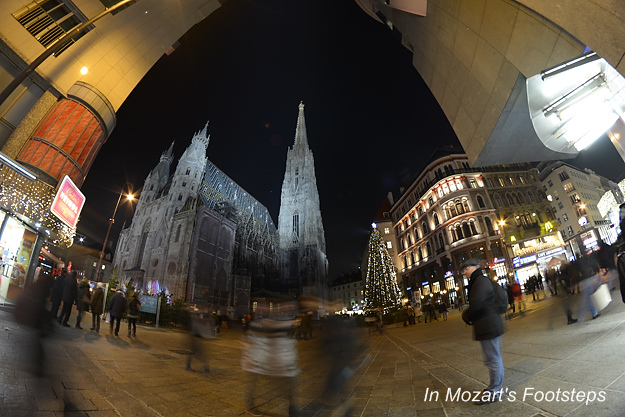 St. Stephen’s Cathedral is in the very center of Vienna. 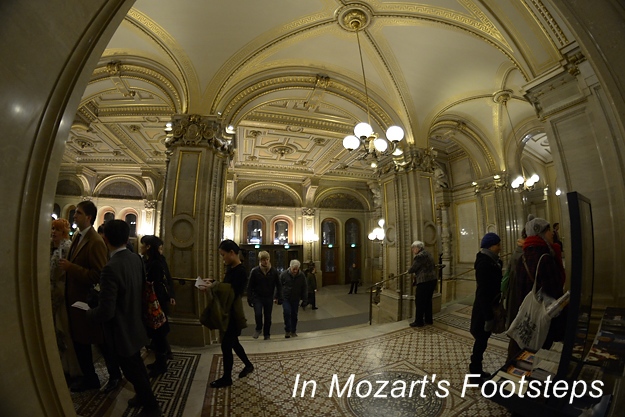 The square outside is always bustling with visitors, and just as many venture inside to see its magnificent interior. Although I have taken many photographs of it over the years, I am always looking for a new ways to capture it. Here are two such pictures from the last few days. The first was taken with a fisheye lens. The spire in the middle appears more of less “normal”, but the vertical lines on either side get more and more curved as they get closer to the edge of the frame. I took this on December 14, and you can see the Christmas Tree in the square. 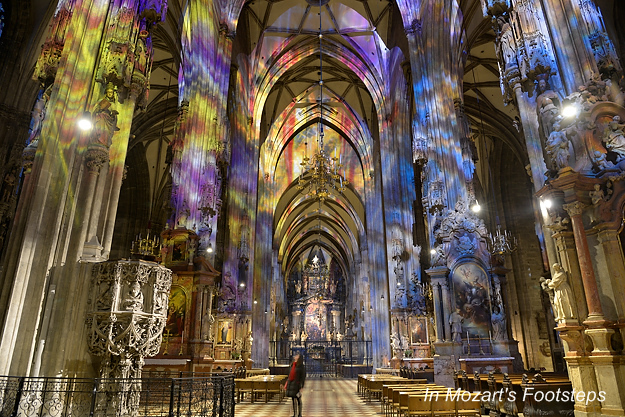 In the last few years, the interior of the Cathedral is lit by different colors in different times of the year. 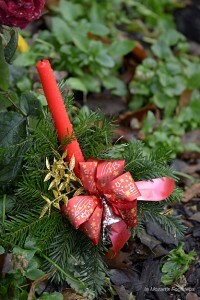 The colors during the holiday season are especially captivating. 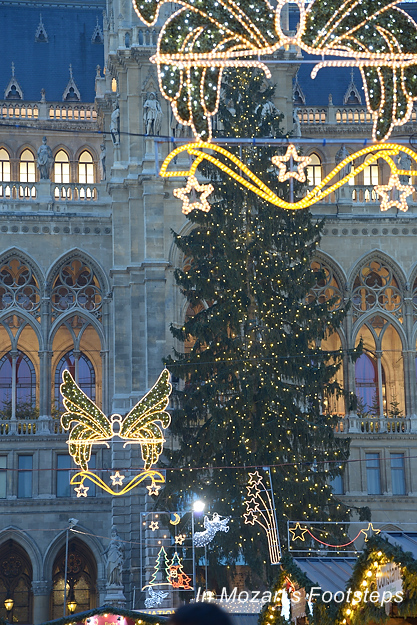 Vienna’s St. Stephen’s Cathedral with holiday lighting. 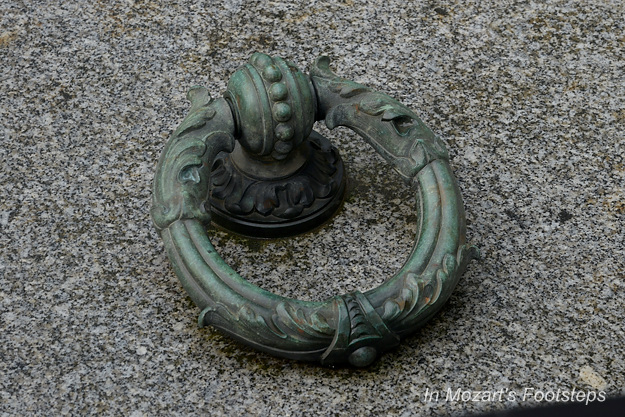 Interior image: Nikon 24-120mm f/4 VR Lens; 2 seconds, F/5.6; ISO 400; monopod braced against a metal gate to stabilize the camera. 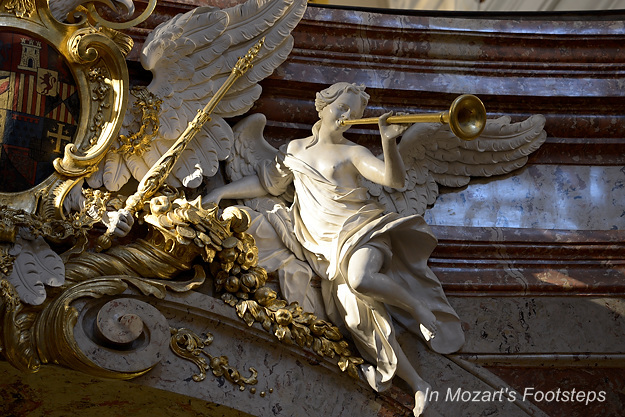 The Karlskirche (St. Charles Church) is Vienna’s great Baroque Church. For the music lover, several interesting stories took place here. 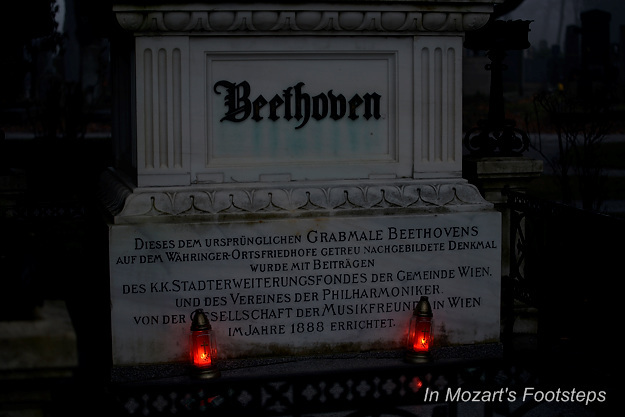 When Mozart was quite young, he contracted Scarlet Fever during a trip to Vienna. Once he began to recover, his father, Leopold, took the talented child for a walk around the church to give him some fresh air. Leopold documents this in a letter. 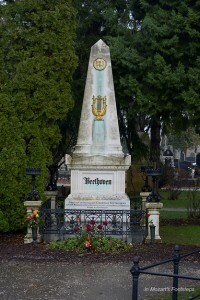 The memorial service for Anton Bruckner was held here on October 14, 1896. 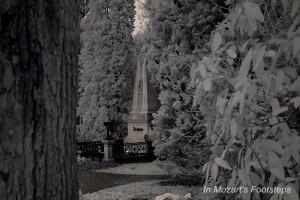 Brahms arrived late, and then did not choose to stay, saying “Never mind, soon my coffin”. He died six months later. On my current trip to Vienna, in addition to finishing my next book on the musical sites, I am taking some final photographs for the publication. 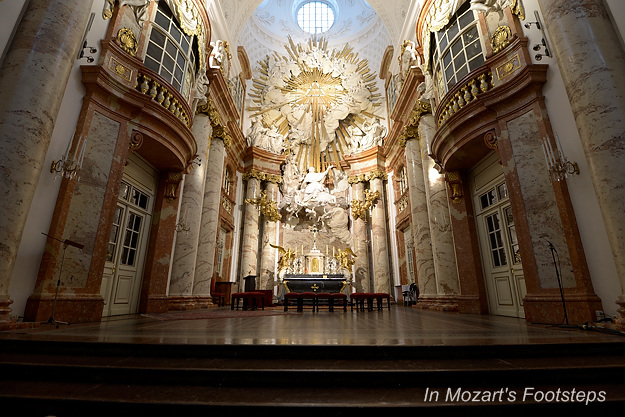 I had not taken some good shots of the inside of Karlskirche, and today was the today. 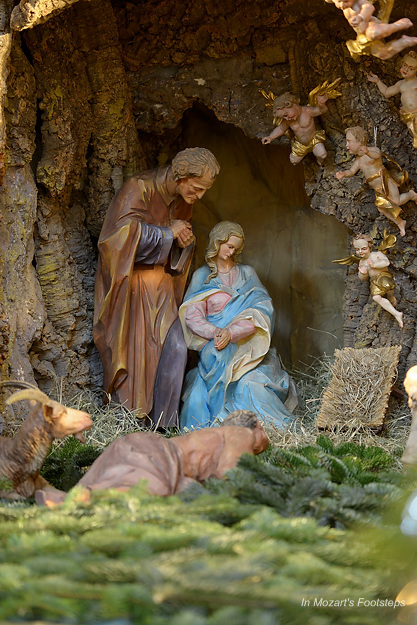 It is right before Christmas, and there was lovely creche just waiting to be photographed! Before this trip I purchased a fisheye lens for my Nikon. Fisheye lenses have lots of intentional distortion and are good for special effects, but you don’t want to use them all the time because they can become a little too repetitive. 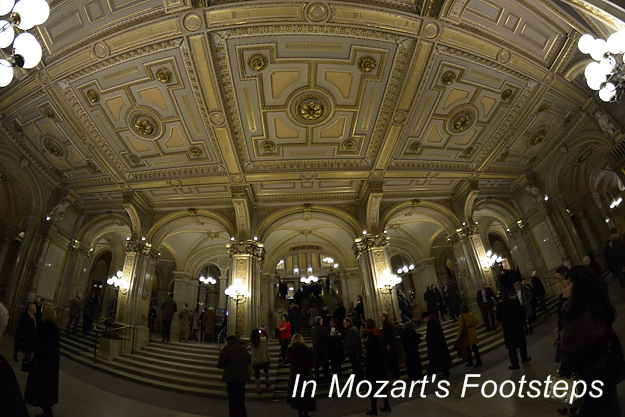 I brought mine to the lobby of the Vienna State Opera before tonight’s performance of “La Boheme” to take some of the opera lovers going up the main staircase. Here are a few of the pictures. Maybe one of them will make it into my new book! 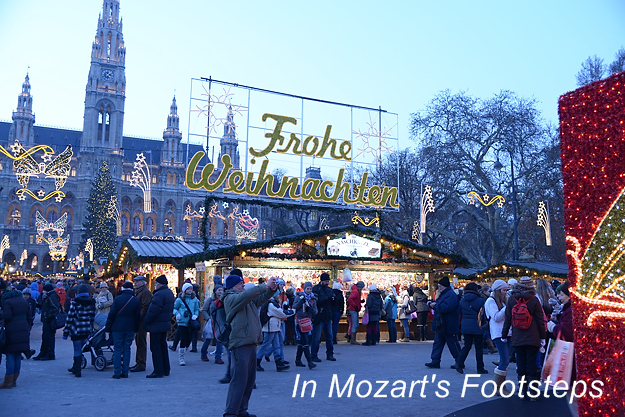 Today, on my first day in Vienna for this trip, I stopped by the large Christmas Market in front of the Rathaus. I was actually cold, tired, and wanted to get back to my hotel room, but when I saw the activity in front of the Rathaus, I had to get off the tram and walk around. I’m glad I did. Dozens and dozens of little shops cover the square in front of the Rathaus. 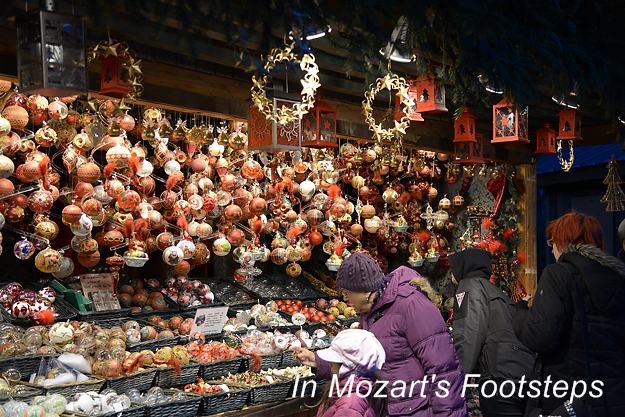 Many are selling Christmas decorations and gifts, and others have a great variety of tempting food. You can eat, drink, shop, or just look at the lights. I will definitely return here in the next few days. Here are some pictures. 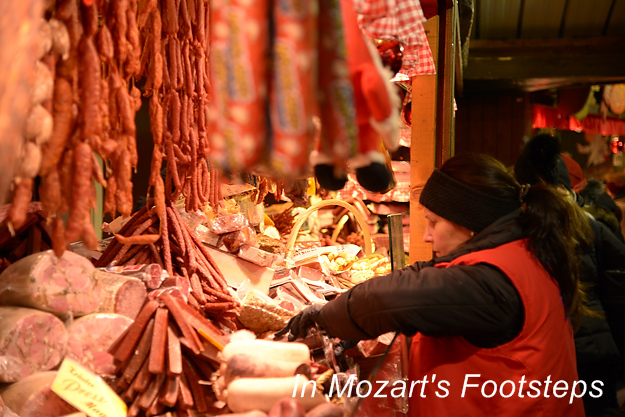 Vienna’s Naschmarkt is a wonder. On this little strip of pavement between two busy roads, you can find some of the city’s best foods and inexpensive gifts. 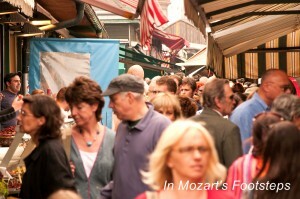 The Viennese and tourists alike enjoy the many delicacies of Naschmarkt. 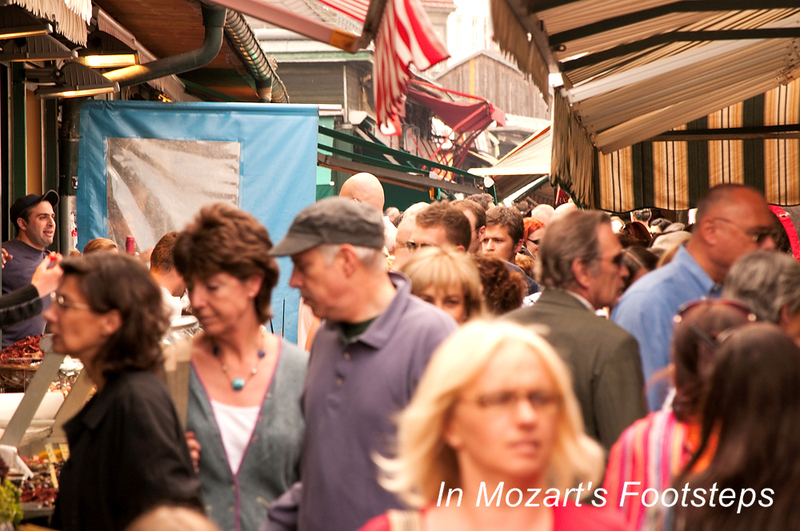 Visiting Naschmarkt is an experience in itself with its narrow lanes and small shops. On the left is a Japanese restaurant; on the right is a wine bar. Next is a bakery, and across from that is a produce stand. 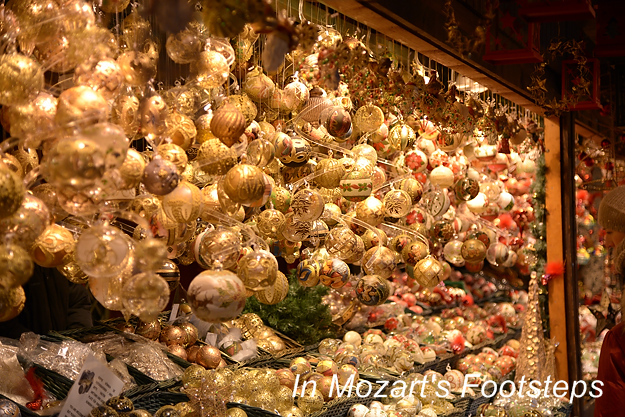 The sights, sounds, and smells create almost create sensory overload. And once you decide what to eat, your taste buds take over. Many of the food vendors will let you try a sample: aged cheese, bits of chocolate, dried or fresh fruit. Colorful bags for sale at inexpensive prices. Farther down, past the treasures for your taste buds, are handmade crafts and gifts. 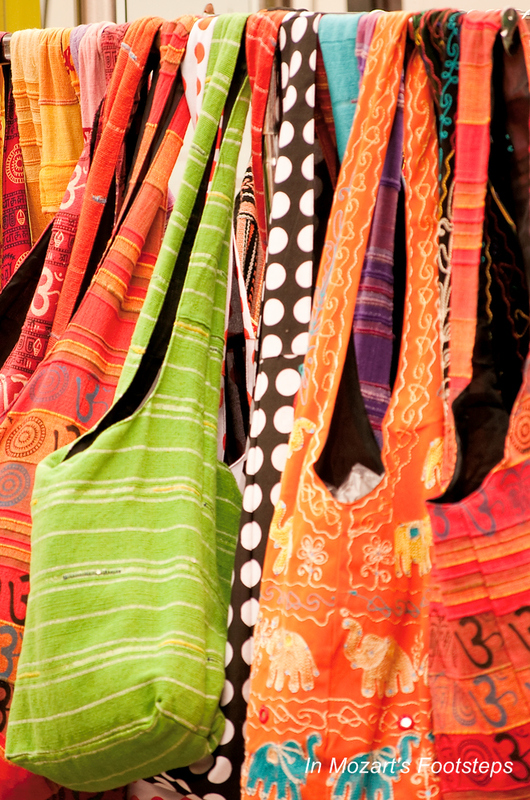 This is a great place to pick up a scarf, handbag, wallet, or any number of small items. On Saturdays, the large parking area starting at the Kettenbruckengasse U-Bahn station is turned into a huge flea market with vendors coming from kilometers away to showcase their treasures. The farther along you walk, the more diverse the languages get. I bought a T-shirt there about twenty years ago, and I still have no idea what language the vendor was speaking! Next to Naschmarkt are two important venues for art and music. The Secession is an important art museum that was where Gustav Klimt and others at the turn of the last century exhibited their new art. Today, it also holds Klimt’s “Beethoven Frieze” on permanent exhibition. 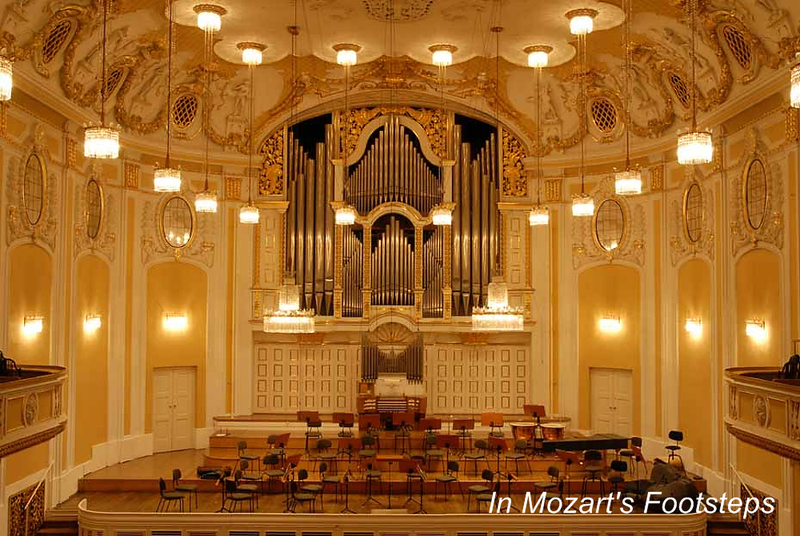 This large mural depicts Beethoven’s Ninth Symphony and is a “must-see” for music lovers. 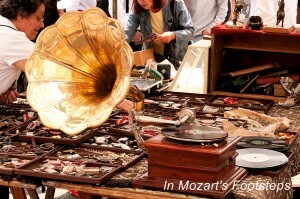 The Flea Market on Saturday has something for everyone. 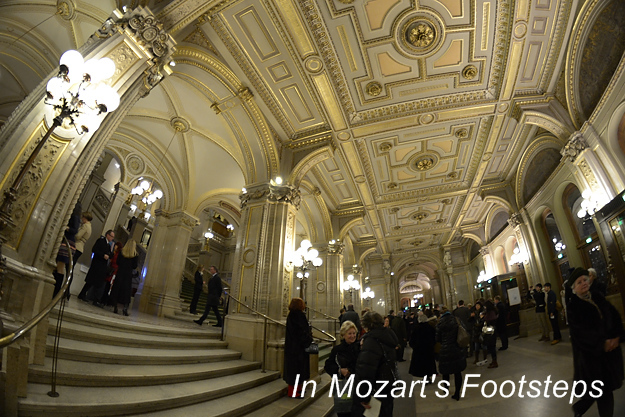 The Theater an der Wien, also next to Naschmarkt, has been an important theater in Vienna from Beethoven’s time through today. 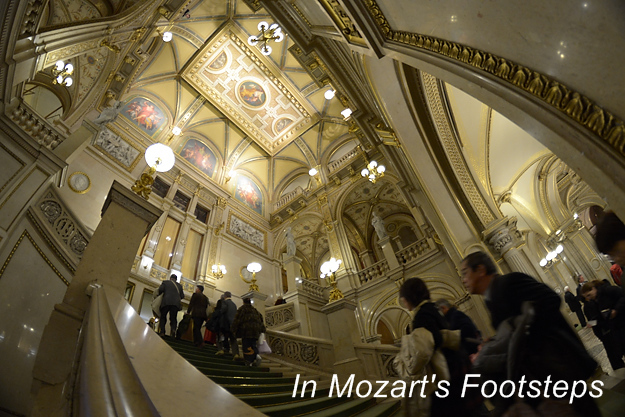 The “Waltz King”, Johann Strauss Jr., led the first performance of “Die Fledermaus” here in 1874. 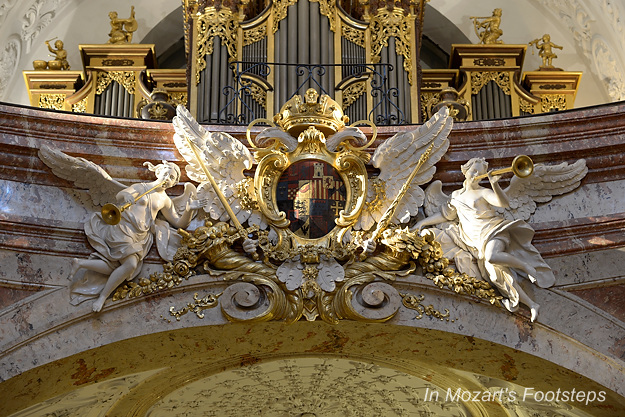 Be sure to walk down Millöckergasse to see the Papageno Door. 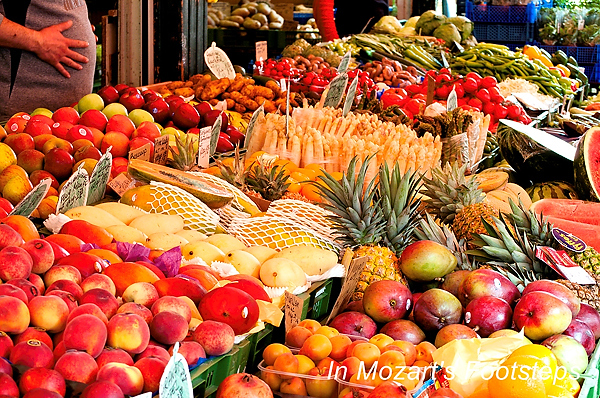 One of Naschmarkt’s many fruit and produce stands. It look like the vendor in the picture has sampled a few too many of his items! National Public Radio recently had a story on a scientist from the University of Maryland who studied the movement of violin bows in an orchestra as they related to the motion of a conductor’s baton. The result of the study was that the violinists’ bows did indeed move in conjunction with the conductor’s baton. 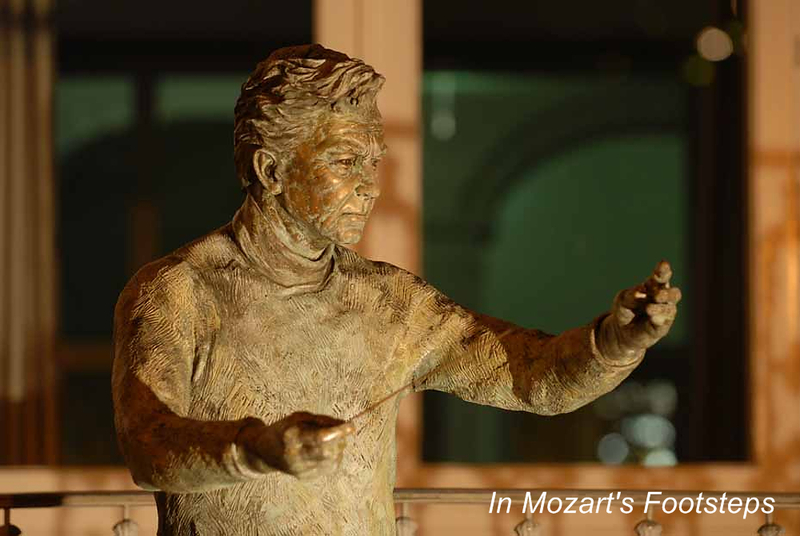 Herbert von Karajan was one of the greatest conductors of the 20th century. 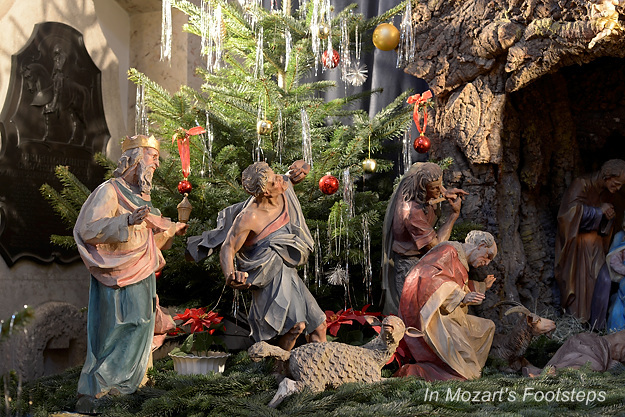 This statue of him is outside of his birth house in Salzburg. Of course, this demonstrates scientifically what musicians who have performed in large ensembles already knew – that musicians follow the conductor, and that the conductor was there for a reason! This whole discussion got me thinking about ensembles that are “conductorless”. Chamber musicians never use a conductor – well, sometimes they do if a piece of music is exceptionally complex. There are also chamber orchestras that perform without a conductor, and these ensembles are what I want to address here. A talented group of musicians can play certain pieces of orchestral music without a conductor extremely well. Look at the Orpheus Chamber Orchestra. This ensemble of about thirty instrumentalists gives wonderful performances without a conductor. 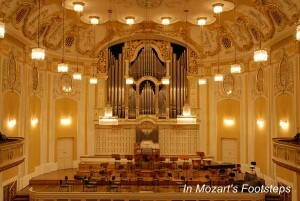 The stage is set for an orchestral rehearsal or performance. Note the podium and conductor’s stand. 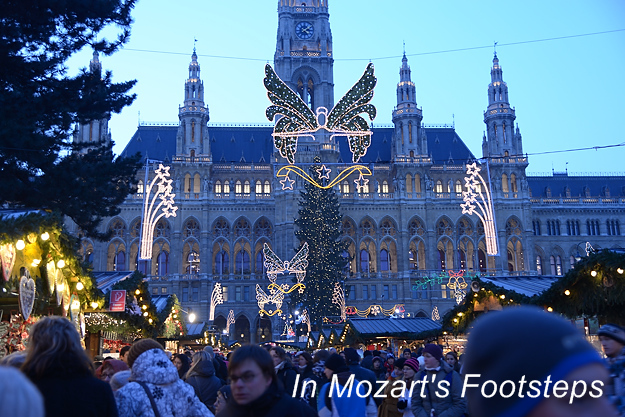 In one of the trips I recently led to Vienna, I took my guests to a concert of the Vienna Virtuosi, a conductorless chamber orchestra comprised of some of that city’s finest musicians. The concert was spectacular. It is one thing for a small orchestra to start and stop, and stay together without a conductor, but it is another thing for them to give a refined interpretation. The Orpheus and Vienna ensembles did this very well, but I have also heard many performances “sans conductor” where there was no unified concept of how the piece should go. Going along with this is often bad balance between the sections of the orchestra because there was no conductor listening to the “big picture” of the sound and telling some musicians to play softer and others to play louder. The recent research on how the string players’ bows follow the conductor’s baton only describes one aspect of the conductor/orchestra relationship. Frankly, this is very elementary. What we really need is research showing how a conductor affects the music making and balance of an orchestra. But then, we can just use our ears to tell us the same thing. 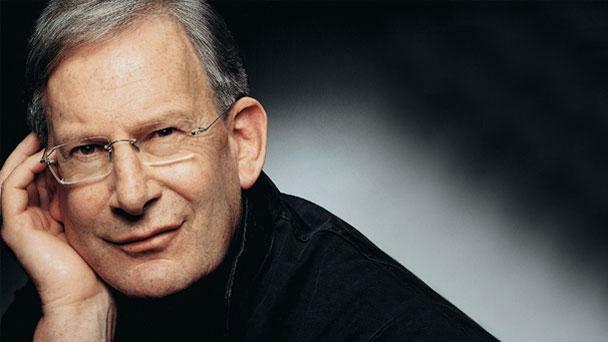 Last night, I heard Sir John Eliot Gardiner with his Orchestre Révolutionnaire et Romantique and Monteverdi Choir play an all-Beethoven program: “Calm Seas and Prosperous Voyage” and the Ninth Symphony. The concert was in Chapel Hill, North Carolina. The orchestra has made Chapel Hill the first stop in their United States tours last year and this year. Hearing Gardiner conduct Beethoven with this orchestra is a treat. Because they play on period instruments (or replicas of period instruments), the sound is not nearly as smooth as we are used to hearing from ensembles that perform on modern instruments. This lends a certain roughness to the tone in some parts, and added sweetness in others. 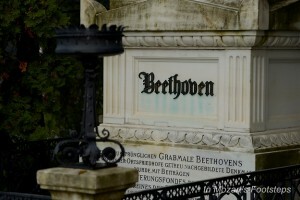 Gardiner’s interpretation is based on the sounds of the instruments during Beethoven’s day, and he truly exploits the “less refined” characteristics of the sound. 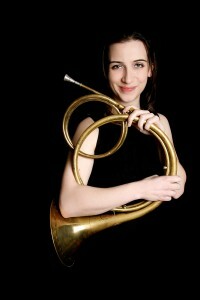 In a pre-concert talk, the orchestra’s first horn, Anneke Scott, commented on how Sir John does not ask horns to play softer as many conductors do. And Gardiner responded by saying that he wants more and more of the horn sound. Anneke smiled. The Ninth Symphony is a wonder in almost any performance. What I appreciated about hearing it last night were the extremes that Gardiner manifested. 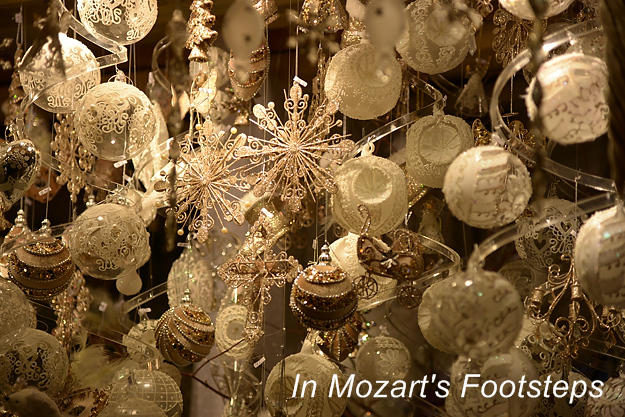 The orchestra created a beautiful, soft tone in the strings in the third movement – must softer and warmer than is usually heard on modern instruments. This was almost ethereal, thanks to the gut (not metal) strings of the instruments. At the opposite side of the spectrum was the timpani, which the maestro had play “full bore” in the opening measures of the fourth movement. One usually hears the timpani supporting the woodwinds and brass in these measures, but last night, the timpani practically dominated the sound. The resulting sound was fiery and intense. These measures always strike me as the chaos – the opening of the earth, if you will – that needs to be present in all of us before we can find joy. Gardiner also had the orchestra and choir do some unique “staging”. The individual sections of the choir stood before they sung: the basses stood first, followed by the higher voices. He also had the piccolo player stand during the exposed solos passages. Not only that, but the piccolo was seated not with the flutes but next to the contrabassoon, the percussion, and in front of the basses in the choir. This makes perfect sense when one hears the Turkish March. This stuck me as such a fresh way to perform the work. Finally, Sir John is a friendly and warm man. During the pre-concert talk, he was genuine and sincere in his discussion of the music. I took the liberty to walk on to the stage after his talk to introduce myself and give him a copy of my book as a “thank you” for his wonderful music making. 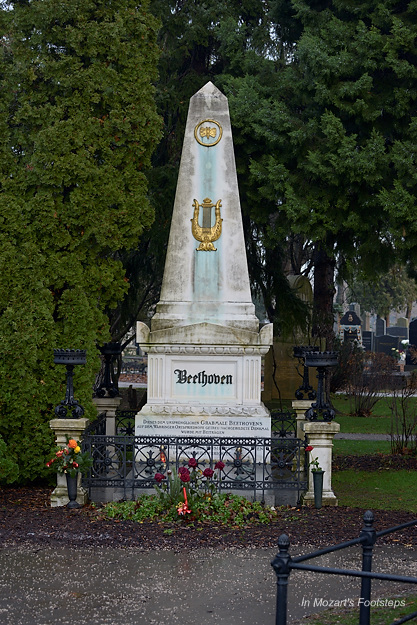 (The book does have a picture of a famous Beethoven statue on the cover!) He was truly gracious and appreciative. 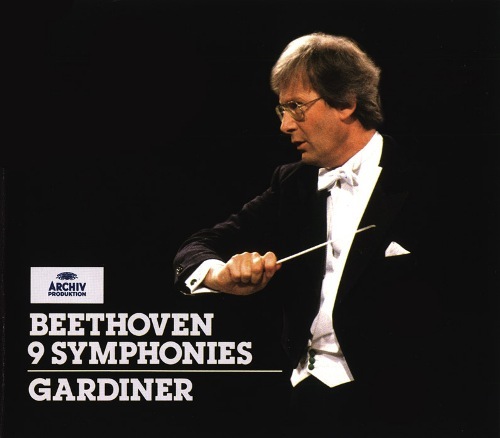 Gardiner has recorded Beethoven’s Nine Symphonies with the Orchestre Révolutionnaire et Romantique. 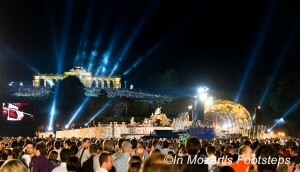 The concert takes place on the grounds of the Vienna’s magnificent Schönbrunn Palace. 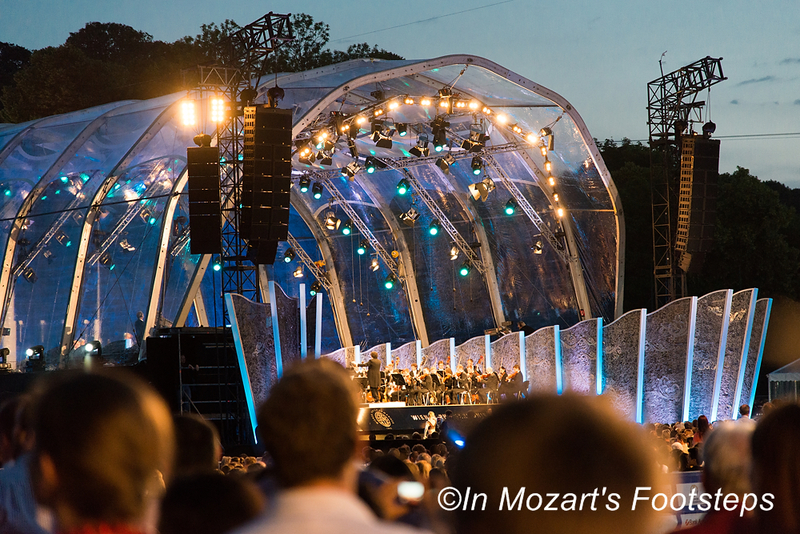 If you come to Vienna in early summer, you have the opportunity to attend one of the Vienna Philharmonic Orchestra’s newest traditions – the Vienna Philharmonic’s Schönbrunn Summer Concert. 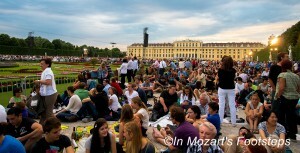 This is a free concert on the grounds of the beautiful Schönbrunn Palace. 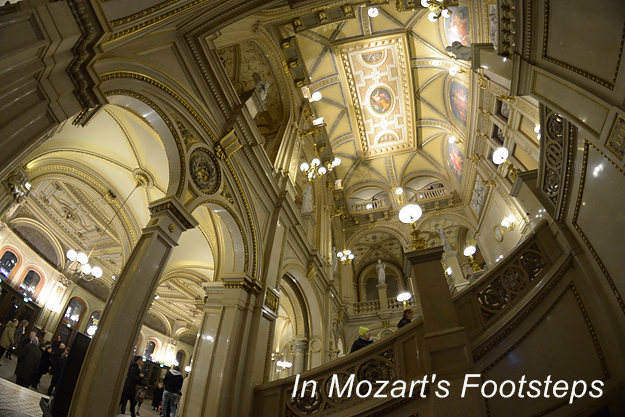 The Vienna Philharmonic Orchestra is one of the world’s finest orchestras, and it is usually difficult to get tickets to hear them perform in Vienna’s Musikverein or on tour. 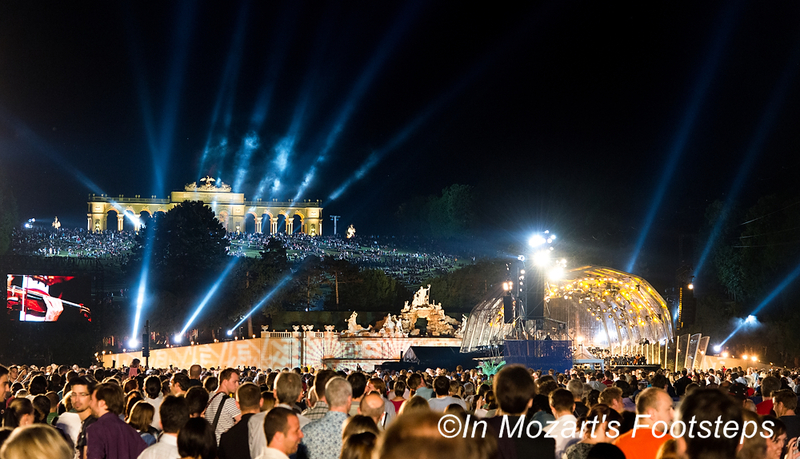 The Schönbrunn concert is different because it is totally free and open to anyone who wants to attend. Just some of the superstar conductors to lead these concerts have been Daniel Barenboim, Valery Gergiev, and Gustavo Dudamel. The orchestra performs in a unique clear shell. Dudamel is conducting. One of the beautiful parts of the evening was arriving in the daylight and watching the lights of the palace and stage gradually come on as darkness fell. The sound system was very good and there were huge monitors to see Dudamel, the orchestra, and the ballet dancers. The setting for the concert is spectacular. 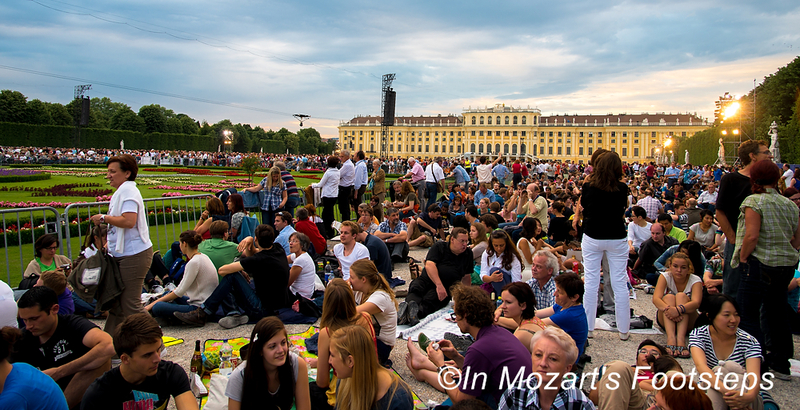 The 2013 Schönbrunn Summer Concert will be part of In Mozart’s Footsteps May/June trip. I just had to see it again and want to share the concert with fellow music lovers! Click here for information about the tour. 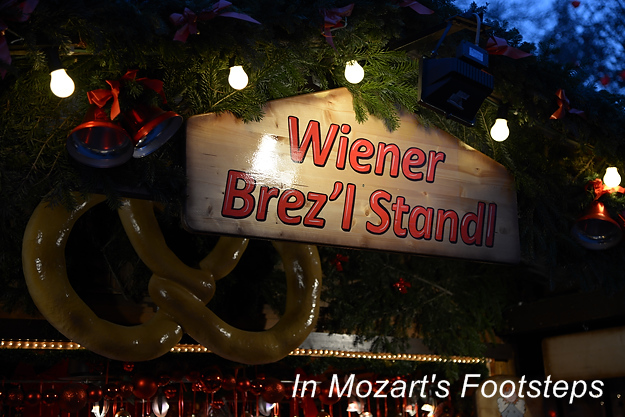 Of course, what concert in Vienna would ever been complete without a Strauss waltz? Here is some spontaneous waltzing to “Wiener Blut”! Sometimes a great composer writes their last few pieces knowing that their days are growing short. 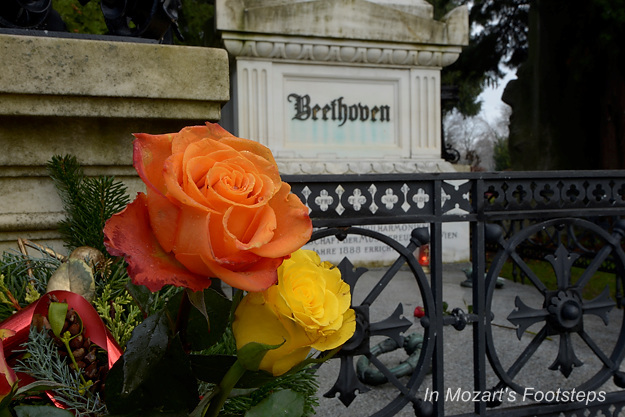 Beethoven’s late quartets pushed his music far beyond what he had written before. Mahler’s Ninth Symphony is tinged with premonitions of death. Bach’s Art of the Fugue summarized his great contrapuntal skill. 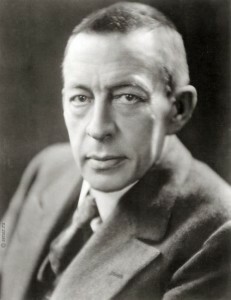 And Rachmaninoff made his Symphonic Dances a literal reflection on his long life. 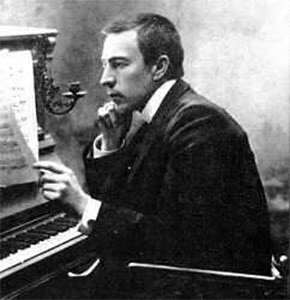 Sergei Vasilievich Rachmaninoff (1873-1943) was one of the last great composers in the Russian Romantic tradition. But when he was 44, he had to leave his beloved homeland because of the revolution of 1917. 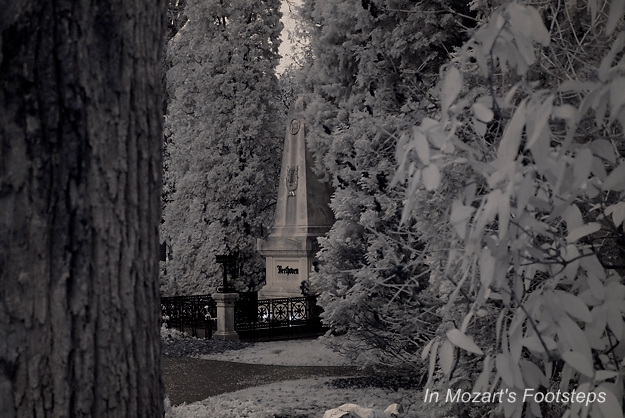 So where did this iconic Russian composer spend the final 26 years of his life? The United States. Towards the end of his life, spent on the north shore of Long Island, Rachmaninoff became rather pensive and looked back at what he had done over the course of his long career. 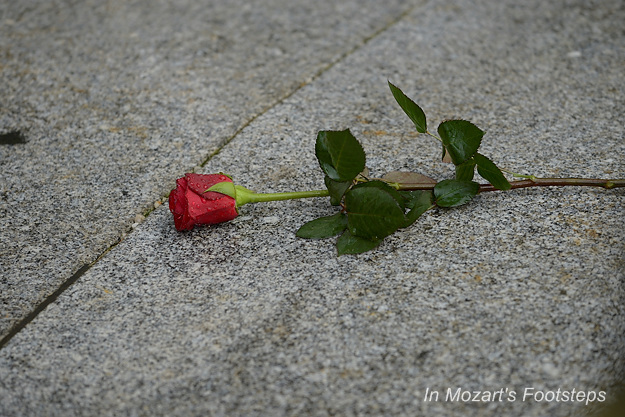 As he knew that his end was approaching, he became attracted to a musical melody that has long been associated with death: the famous “Dies Irae” theme from the Latin Requiem Mass. He used this in his final three works: Variations on a Theme of Paganini, the Third Symphony, and the Symphonic Dances. Of course, this is the same theme that Saint-Saens used in Danse Macabre and Berlioz used in Symphonie Fantastique. The Symphonic Dances, the Russian composer’s final work, was actually a reworking of much earlier music. In 1915, the composer began a ballet score entitled The Scythians. As he was composing it, he showed it to the dancer and choreographer Mikhail Fokine who rejected the music saying that it was not suitable for dancing. A quarter of a century later, Rachmaninoff took the earlier, unfinished ballet music and decided to use it in a different piece. The “Twilight” of Rachmaninoff’s life? How did Rachmaninoff bring his thoughts about the end of his life into his music? One way is through his movement titles. He initially labeled the movements “Noon”, “Twilight”, and “Midnight”, and many believe that these titles were supposed to represent different periods of his life. Another way that Rachmaninoff looked back on his life was to use melodies of several of his earlier works in this final composition. He quotes his own First Symphony, for example. The final chapter of the composer’s life comes out in the third dance, which is truly a struggle between goodness and death. Here, Rachmaninoff juxtaposes an Orthodox chant (“Blessed be the Lord”) with the “Dies Irae”. 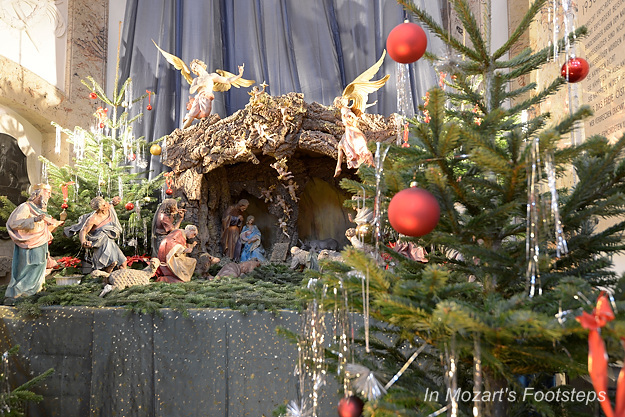 The uplifting chant eventually wins out and is heard in an exuberant and festive setting to close the piece. Rachmaninoff was very moved by this music. In the score, he wrote “Hallelujah” under the hymn of praise. At the end of the manuscript, he added “I thank Thee, Lord”. 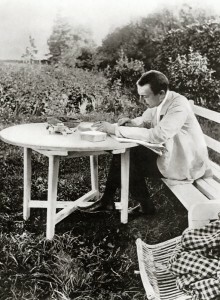 Rachmaninoff’s reflection on his life was positive after all! A version of this article first appeared in Greensboro, North Carolina’s News and Record on November 4, 2012.